It was a surreal feeling to pack up and leave our little home in the mountains. An energetic lifestyle, huge biscuit allowances and a liberal air of how long it was acceptable to leave between showers were all part of a former life. Lugging logs, trail talk and in jokes were such an everyday phenomenon. Back in the town Cal, Fred, Connor, Kylie and I spent the afternoon wandering around the shops and flea market. 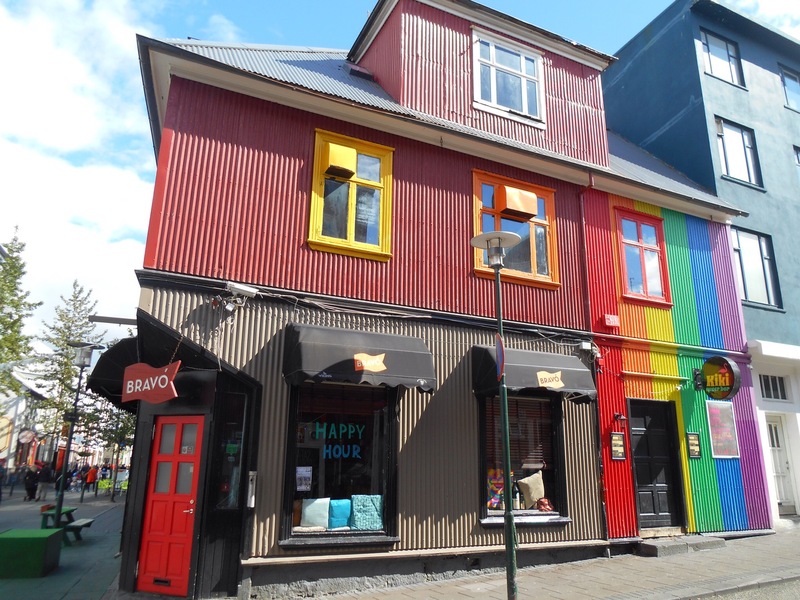 I would say we nearly managed to look at every Icelandic jumper in Reykjavik. By the evening we were smelling clean, feeling semi fresh and headed out to find some food. Despite having spent varying amount of weeks shovelling seconds and thirds into our faces at meal times, the setting meant we were conscious of our table manners. 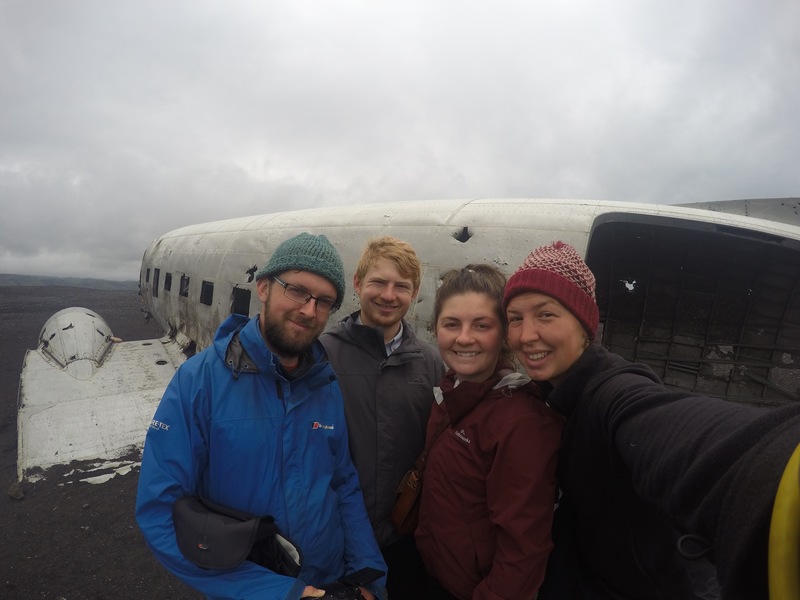 We invited the rest of the team, most of who were staying at the campsite, back to our hostel in the hope of experiencing Reykjavik’s nightlife together however our final goodbye was a rather subdued and sleepy affair. In the morning Kylie and I picked up the car to commence the next and final chapter of our Icelandic adventure, a ring road trip. As we got into the opposite side of the car, about to set off on the other side of the road, we remembered neither of us had ever driven on the right side. 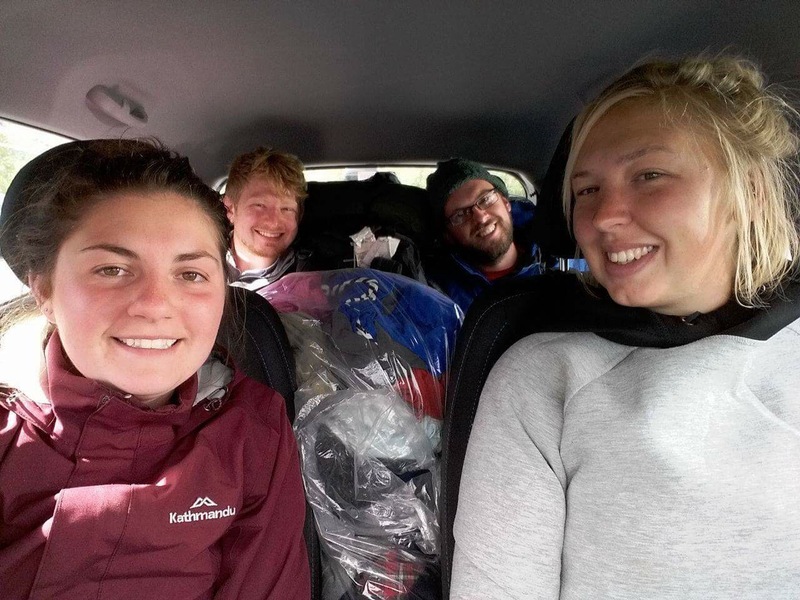 This was summed up well by Kylie’s, ‘are the peddles still the same way round?’ and my reply ‘I hope so!’ Heavily patronising each other on every roundabout we made it back to pick up the boys Cal and Connor and attempt Tetris with our luggage into a tiny Hyundai i10. 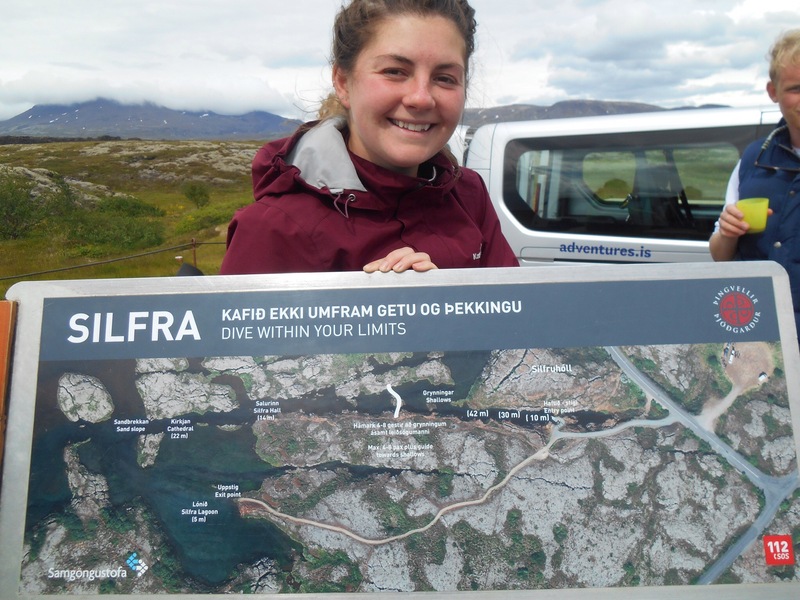 Wedged in with little breathing space we headed for Þingvellir national park, the rift between the European and American continental plates. These plates are moving apart by about 7mm per year and creating a no mans land in the middle which is between 3.5-7km across. This area is also where the worlds first parliament was held in 930AD. 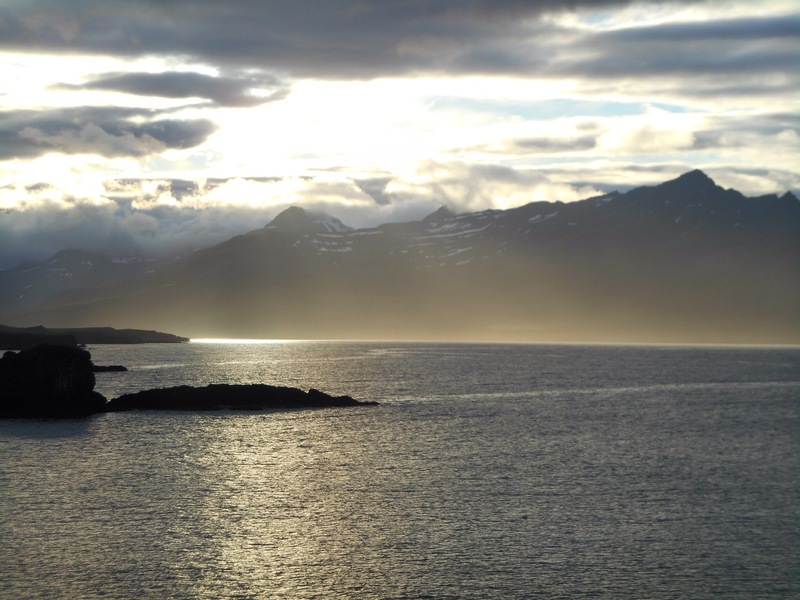 Vikings would hike from Reykjavik to meet for 2 weeks every year and debate, scream and even make punishments against this rockface. From the moment I knew I was coming to Iceland, this was the non negotiable, the dive site, Silfra. The fissure between the continental plates is fresh water, glacial melt at around 2 degrees centigrade. There is little fish life but amazing underwater formations. 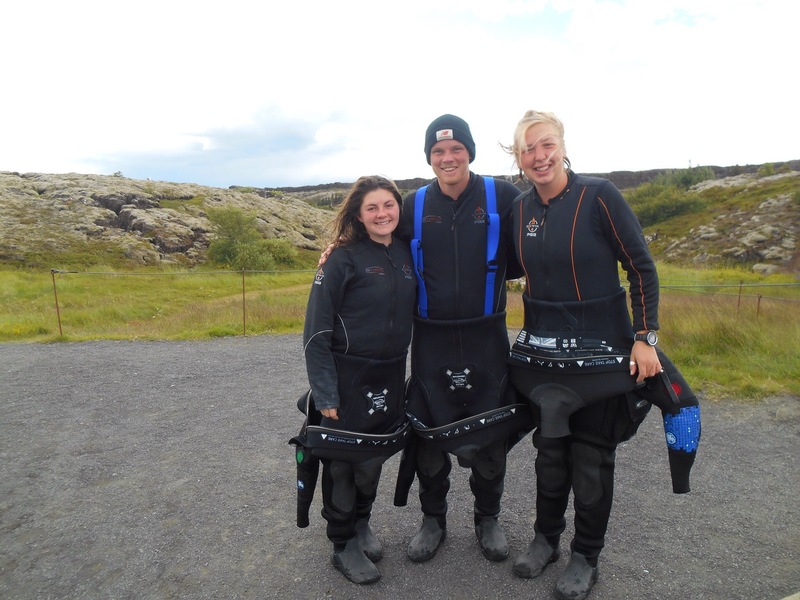 It is drysuit diving which was a completely new experience for both Kylie and I. 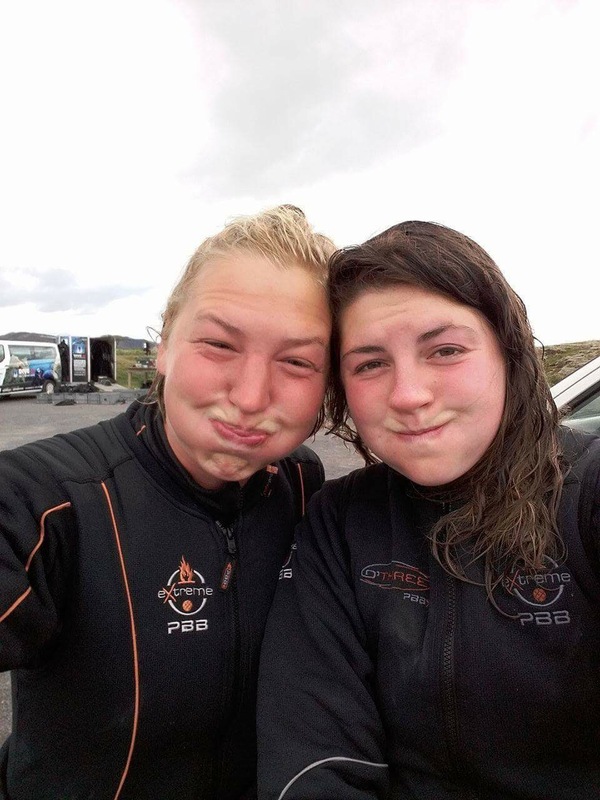 Having never dived in less than 26 degrees normally a shortie wetsuit is sufficient for an hour underwater. Instead we kept on our tshirts and leggings then were given a thermal jumper and socks and onesie to wear. After a briefing we had the mission of getting into the drysuit. This is definitely a two man job as the fit is so tight, shoes attached then a thick neck makes sure no water can get inside. After sealing us up they put elastic collar around our wrists and neck. Our range of movement was getting more and more limited as we put on the hoods, weight harness and then the usual dive gear on top. By this point we could only waddle over to the site, struggling to talk or at least hear each other. With fins and mask on we jumped in and submerged our faces. The only parts which get wet are head and hands and almost immediately your exposed face is numb. After the cold, the next reaction is just how incredibly clear the water is. 150 metres of visibility is almost like not being underwater at all. Also it’s fresh, so you can just drink it, purer and fresher than bottled water. Drinking underwater is the strangest concept I have ever come across but completely possible. We bounced from surface to depths struggling to control our buoyancy. Partly this was due to the dive site, one minute juts of rock coming right up to the surface, the next dropping away into caverns. Mostly it was the difficulty with the dry suit. Not only do you have the BCD with which to control your air, now your dry suit is a bag of air as you can press your chest to add air inside to prevent the crushing pinch of the pressure acting on your feet. We laughed at ourselves rolling around like 1 year olds with no limb control. I got stuck on my back, Kylie set her regulator to free flow, we both were amused by our undignified lack of control. When you found a moment to remind yourself of the bigger picture, the site was incredible, a thin fissure in the rock became a wide open lagoon like cathedral. As we shallowed up towards the end the water was blue with the green algae growing underneath. As I emerged onto the ramp, overwhelmed and exhausted by this incredible experience the one of the other dive instructors said to me ‘wipe your face, it’s covered in snot.’ It was a strange juxtaposition of emotions. With the layers peeled off again and a hot chocolate in hand it was time to laugh at our efforts to remain buoyant. 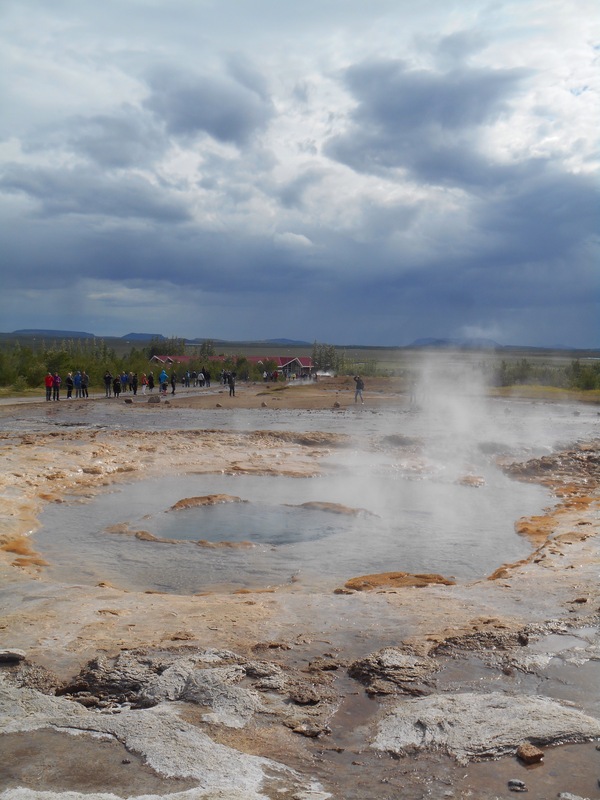 We headed off into the ‘Golden circle’ of geothermic activity starting with the Geysirs. The water at the site was flowing at 80-100 degrees in the streams. 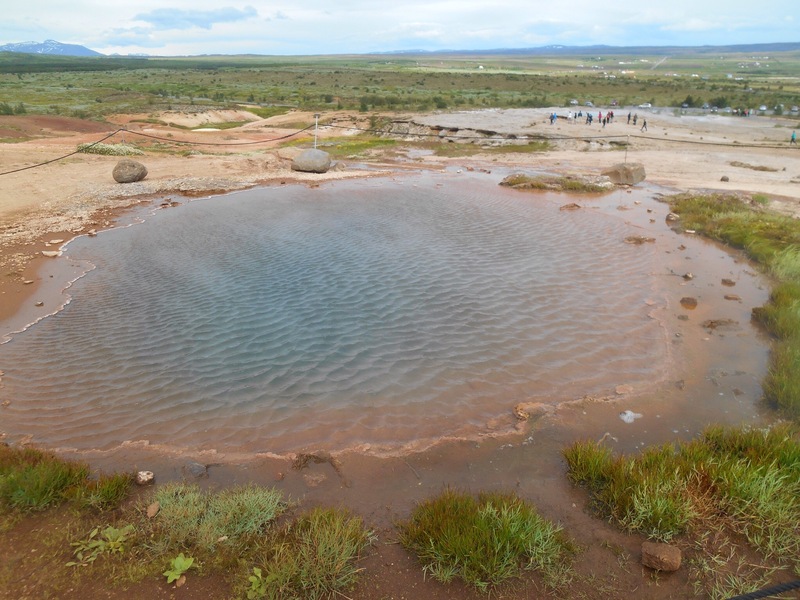 Round pools of water were gathering crowds, the only real sign of activity below, where every 8 minutes an air bubble would rise from the deep vent sending the water high into the sky. Next we made for Gulfoss, meaning gold waterfall, supposedly Europe’s largest. The view was from above of two falls was over the top drop of 11 metres falling onto the second larger drop of 20 metres which sent mist torrenting through the gully below. 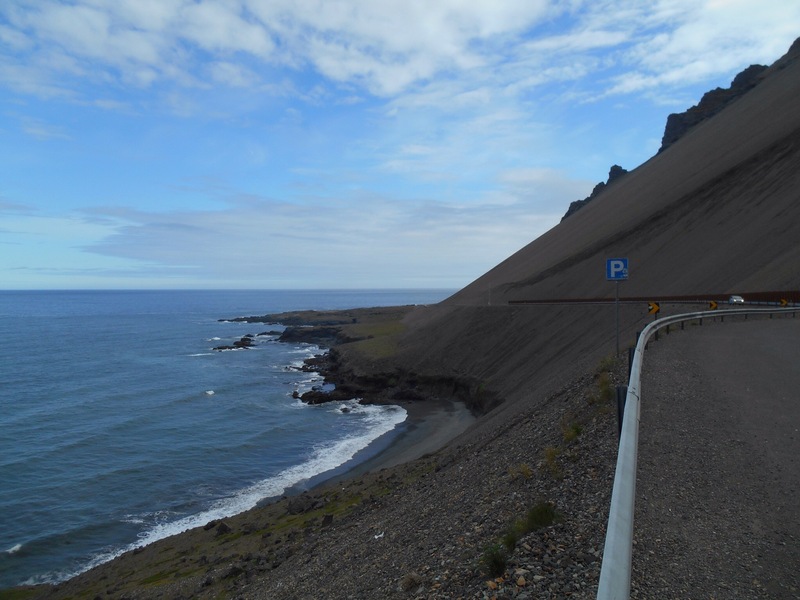 We drove back to join the state highway, otherwise known as the ring road which circumnavigates Iceland. We would be going anticlockwise, the entire distance. We stopped at Hella, did our first roadtrip foodshop preparing to stuff food under the seats and in every remaining crevice of the car. As soon we left the shop with our well thought out meal we decided that the diner across the car park looked appealing and with the evening getting on we opted to go there for dinner. 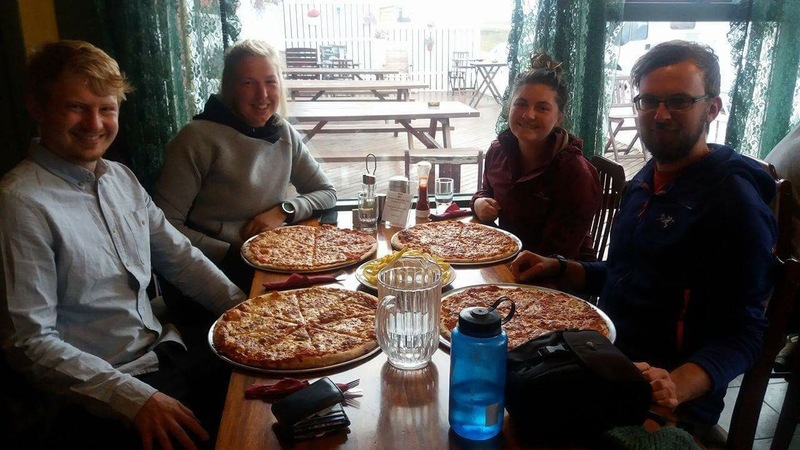 We ordered pizzas, an item we had been fantasising about all through our time in Thorsmork, and all opted for a 16 inch each much to the astonishment of the waitress who raised her eyebrows and repeated ‘one each, really?’ The euros final was on and the energy was high in the small town bar. 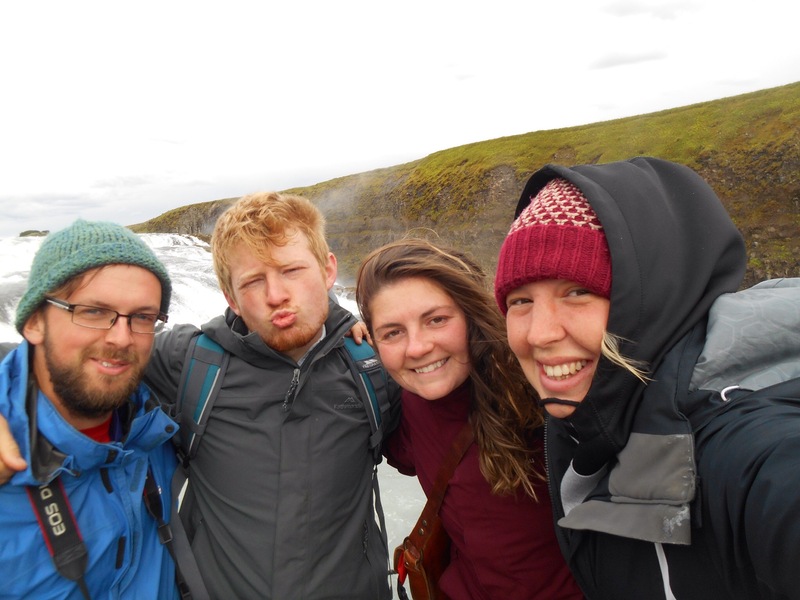 We drove on to Skogar and arrived late at night to the campground where we set up our tents with the impressive torrent of water as our backdrop. 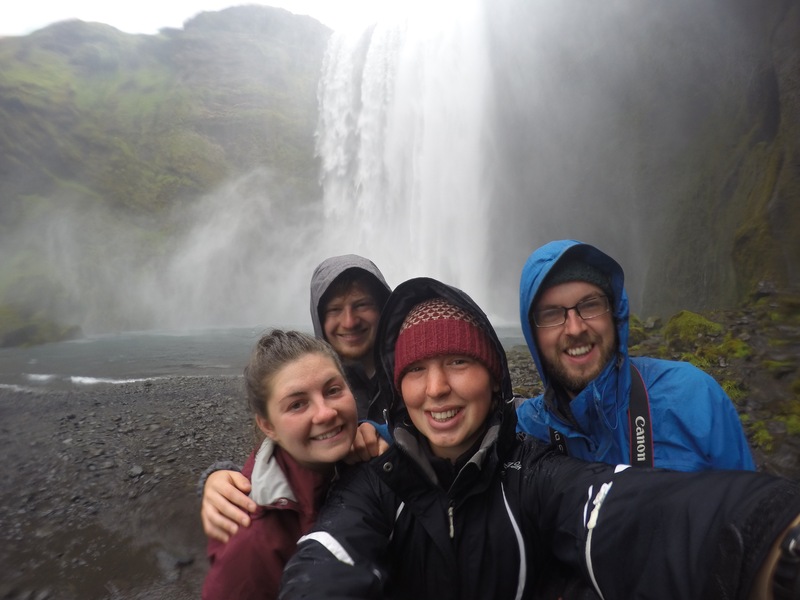 Monday morning brought a welcome late start and an amazing wake up view of Skogafoss waterfall in all its power and might. 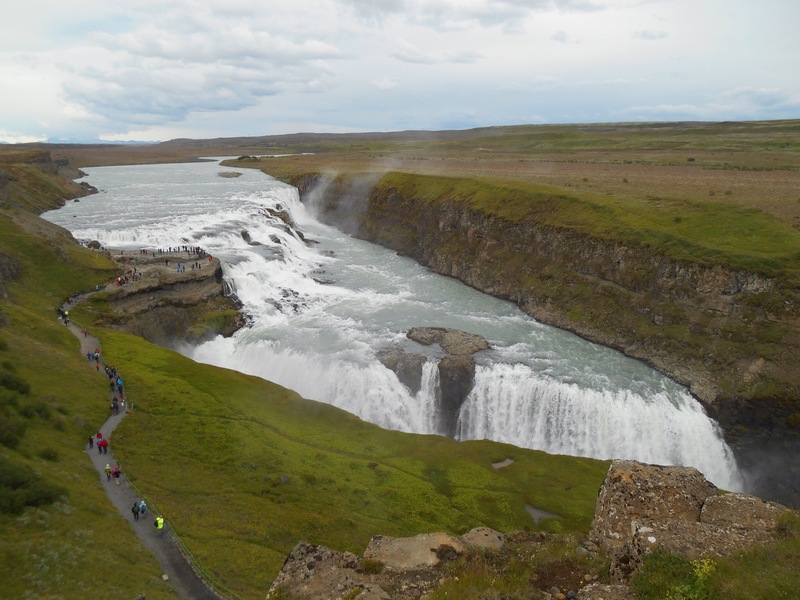 If there is one thing Iceland has in abundance it is waterfalls, however none replicate each other. We climbed to the top to look over the 60metre drop. 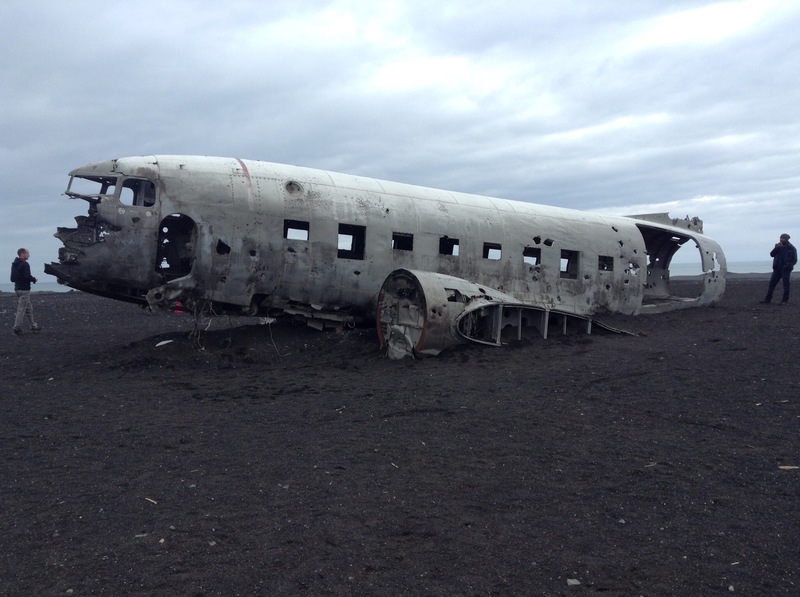 Our next stop was a walk to the coast, the site of an American plane crash in 1973. The view to the coast was so flat and undisturbed it looked like a short walk but proved to go on and on until the shell of the plane became visible. The moody looking clouds amplified the eerie effect of the white shell complete with graffiti over its emergency exit signs. The coast was the volcanic black sand with rocky formations out to see. 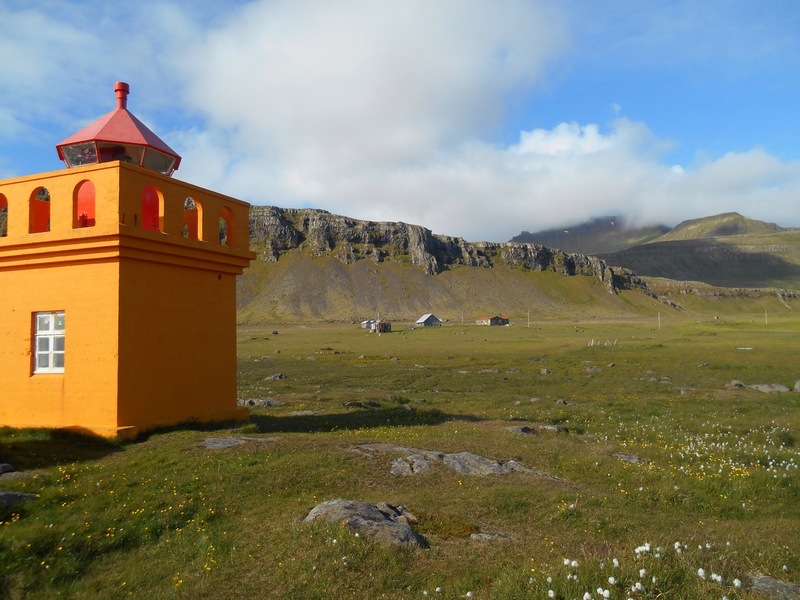 A short journey on was the town of Vik where the sharp juts of rock looked like a troll church. We spent the day following the road, pulling over whenever the landscaper rapidly changed and surprised us. 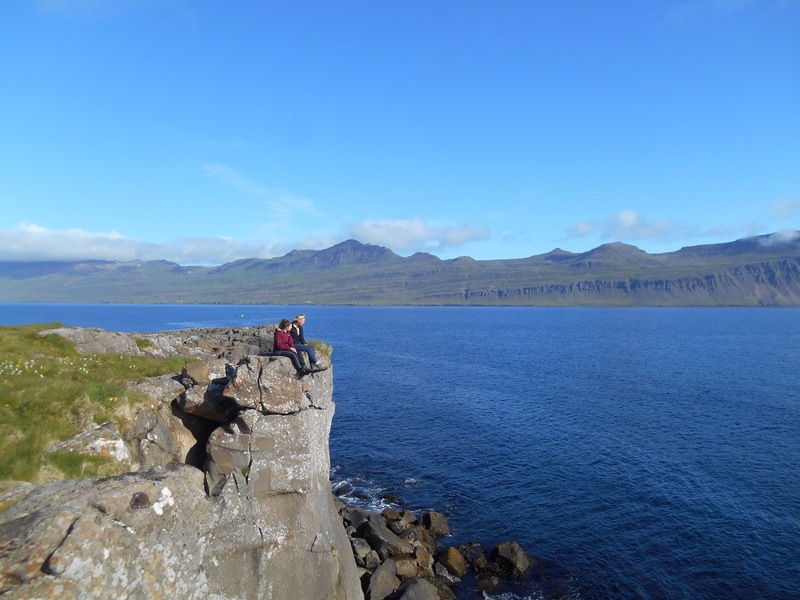 As the whole area is a geopark under the shadows of the Katla and Laki volcanoes, there is plenty of ‘strange’ to explore. 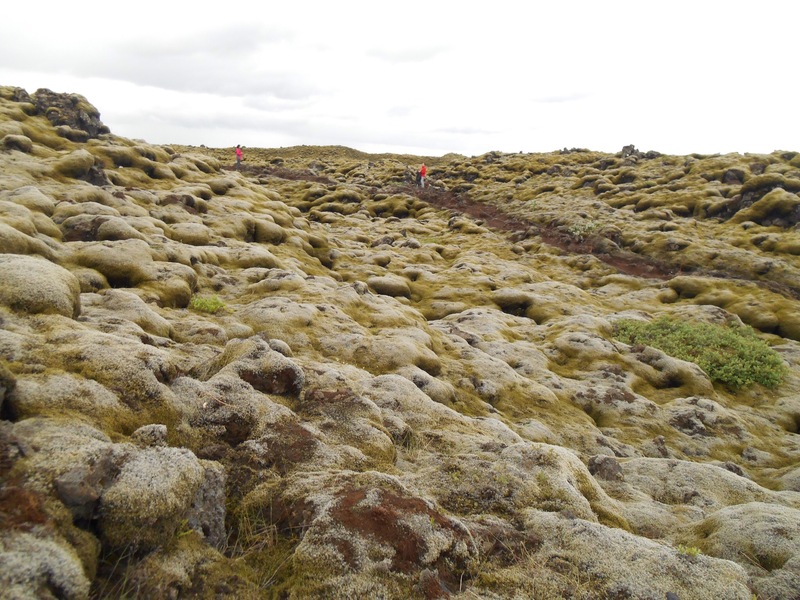 One area was lava flow covered in bouncy moss. The lava flow was the largest in European history spreading in 1783 and affecting not only Europe but worldwide for several years afterwards. 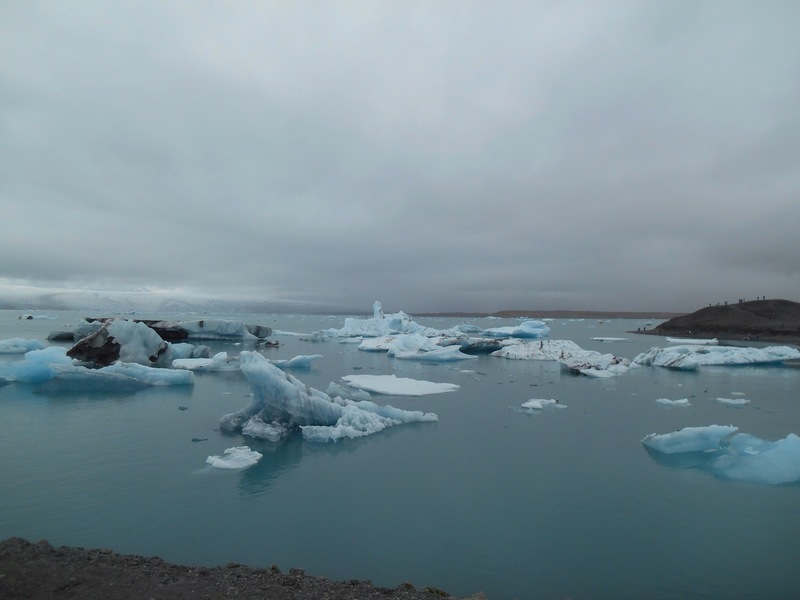 The so called ‘mist hardships’ made crops fail and weather irregularities which caused authorities to consider evacuating Iceland to Denmark. On a wider scale, the volcano was mentioned for its part in the French Revolution of 1789 as the hardships and crop failures of these years set the scene for a harsh and bloody revolt. 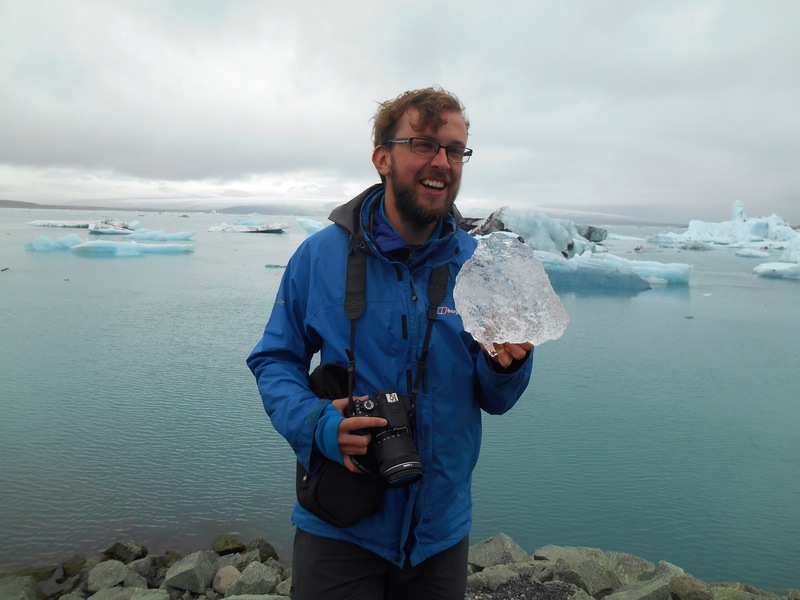 We were now on the edge of Vatnajokull glacier. Its vast expanse makes up an incredible 8% of the country, it’s national park covering more like 13%. 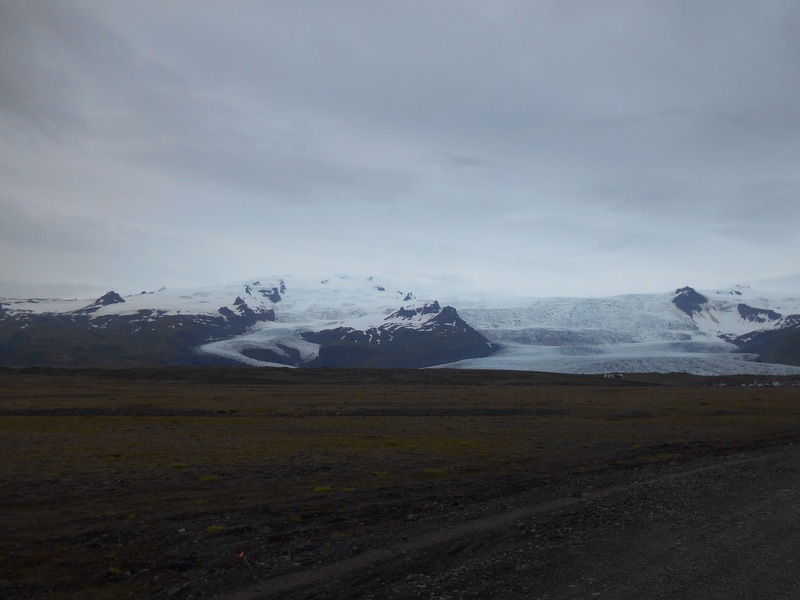 As we approached Europes largest glacier we visited Skaftafell. A short visit compared to my last, we took a trip down to the iceberg lakes on the edge of one of the glacier tongues. 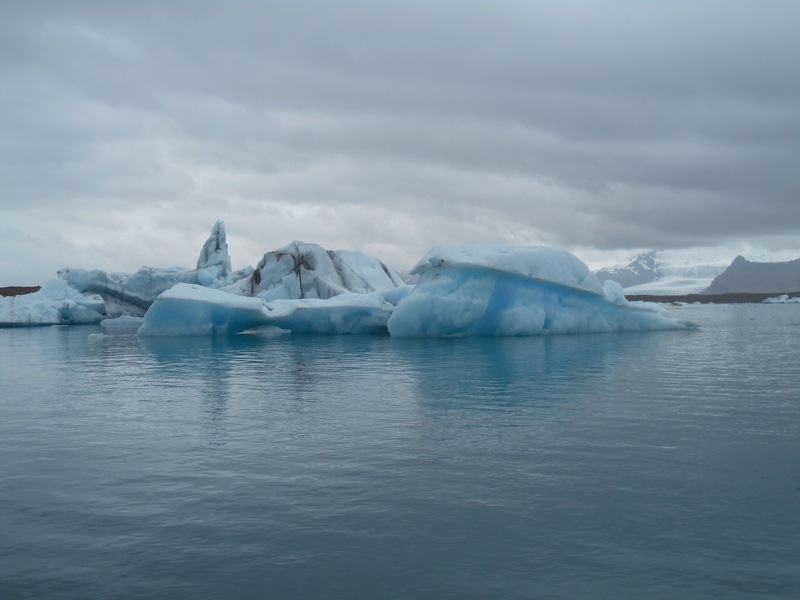 We watched as shapes appeared and moved in the ice, the water shifting their positions. We then cooked up our first on the road meal of potatoes, veg, beans and cronions which was met with hearty compliments. In an attempt to wild camp we drove on to the edge of a settlement and put up our tent in the fog and drizzle. 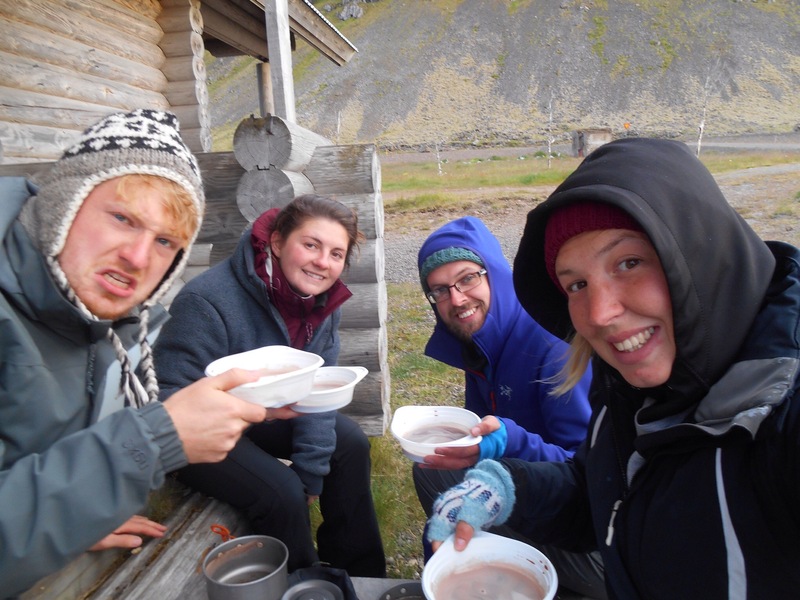 Just as we settled in for the night and had read our bedtime stories two women on horses came to move us on, so in our pjs we packed up and moved to Svartifell village to spend the night. Continuing east in the morning we first came along Jokulsarlon, a massive iceberg lake still on the Vatnajokull glacier. Here the ice was on a huge scale, much more of a sparkling icy blue as it moved around the lake. The smaller parts which had freed themselves made their way out to the sea. It was also a bird lovers paradise and with our resident bird expert, Cal, we had our first bird lecture. Having worked with turns before he brought to life the activity of the Arctic Tern colony who controlled the banks. Some young could be seen attempting first days of flight, parents collecting sea eels for the young and the occasional thrilling attempt by the Skua to infiltrate the flock and take one of the young. These attempts were met by noisy retaliation by the turns who had safety in numbers. 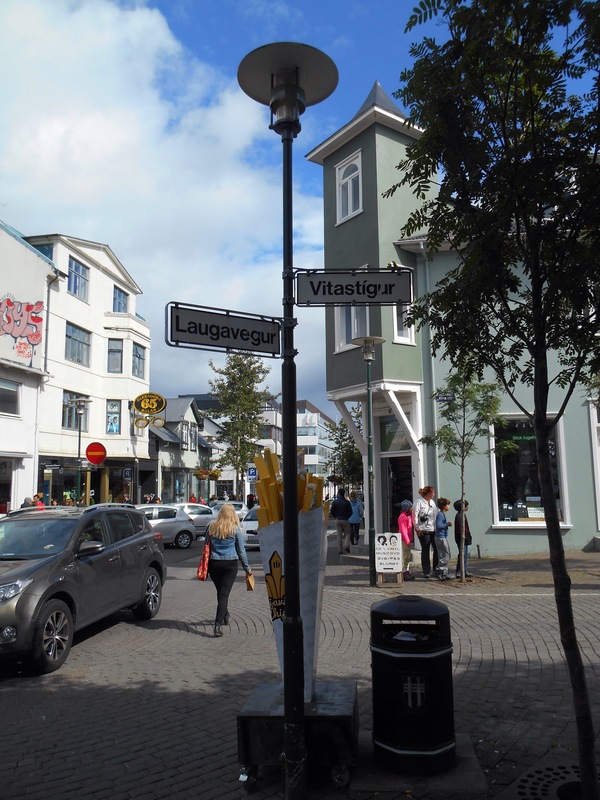 We progressed on to ‘big town’ Hofn for shopping, fuel and the gateway to the east fjords. Beyond this the road started following the coast as it flitted in and out in peninsulas. The landscape was once again transformed, large hills and mountainsides made entirely of screw which looked so delicately balanced and beautiful in the light. 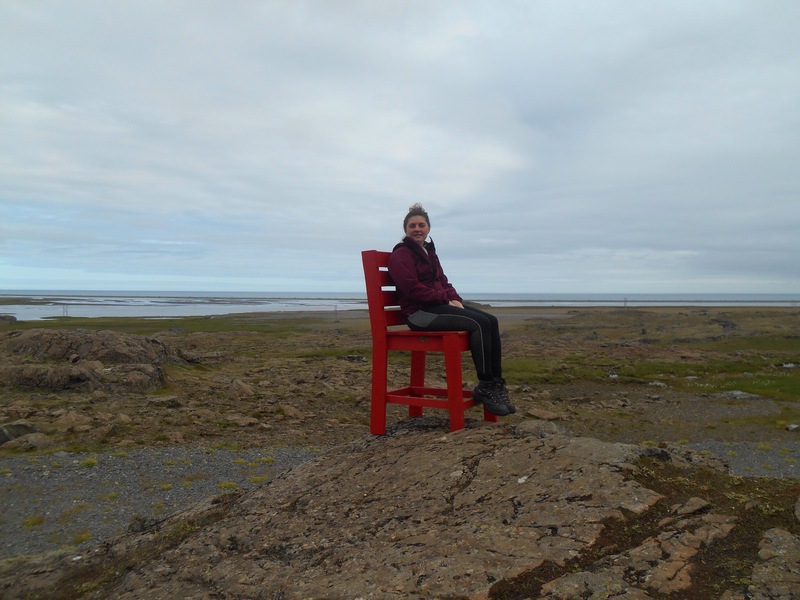 We stopped for many photo stops and leg stretches along black sand beaches where we played chicken with the waves. Our second attempt to wild camp was met with more success. As we skirted the waters edge we spotted a few abandoned houses and pulled over to see this ghost town. 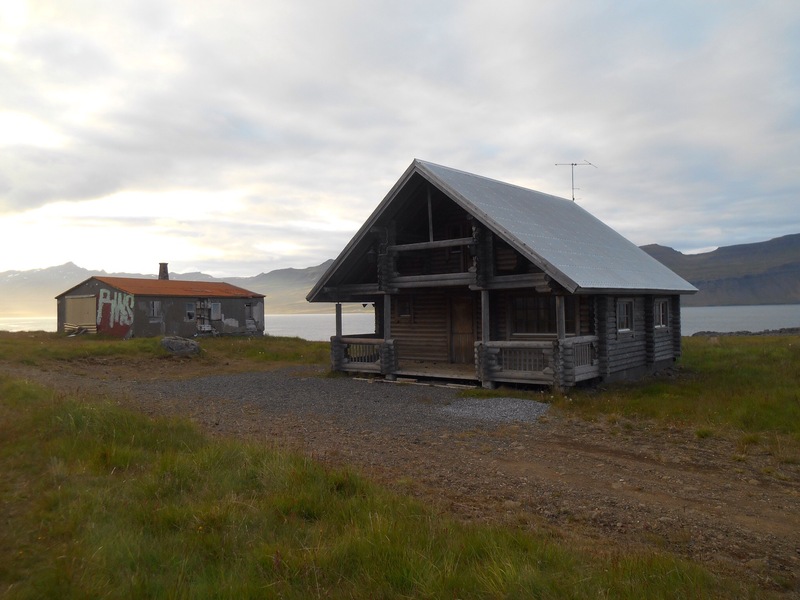 There was two graffitied and desolate huts and one log cabin which was empty although not abandoned. 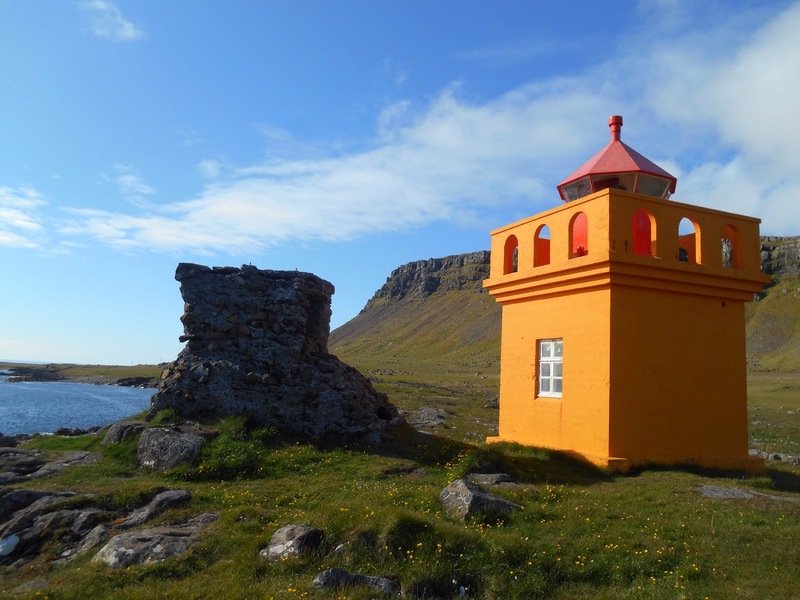 On the coast was a beautiful lighthouse which we deduced lay empty for the light summer months. 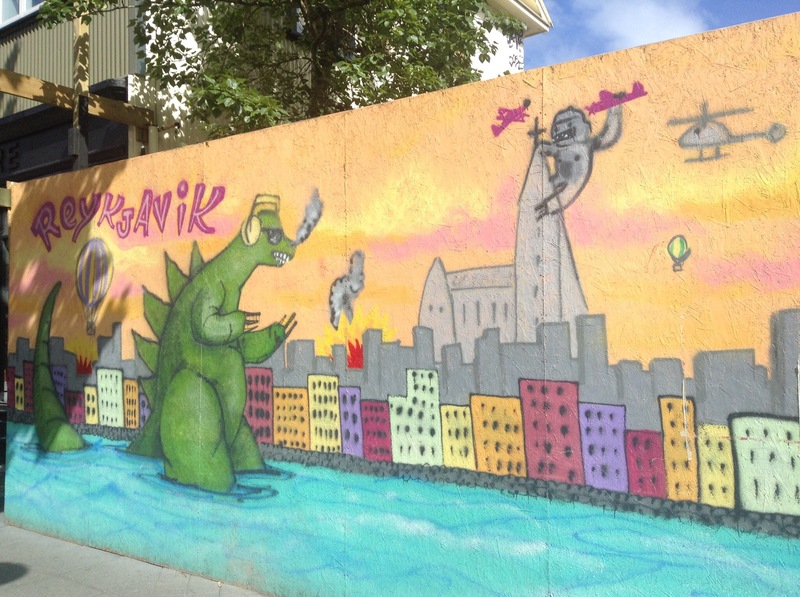 The boys explored and their discoveries of spooky graffiti and broken floorboards added a certain air of danger to the wildness of the fjords. 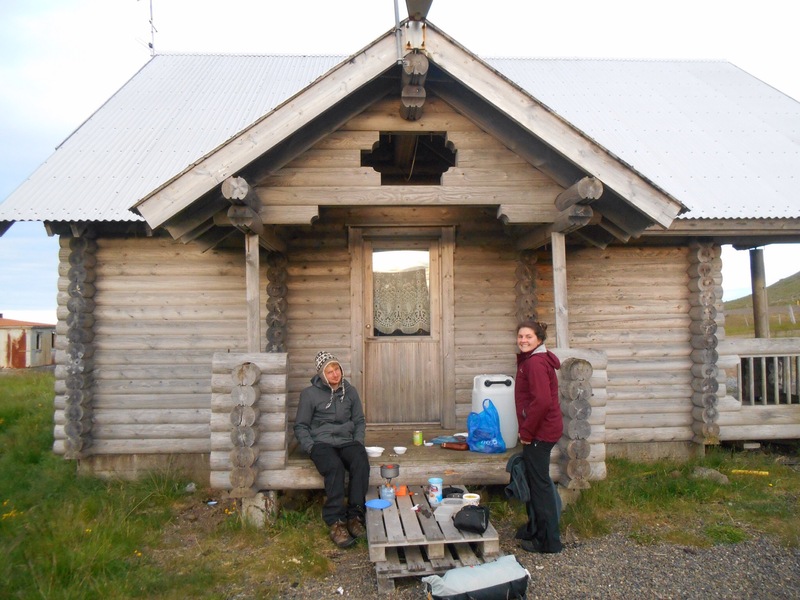 We opted to make dinner on the shelter of the huts balcony and see what happened. The light hitting the water was spectacular sending a gold reflection up. By night time we hid the tents and settled down for the night.